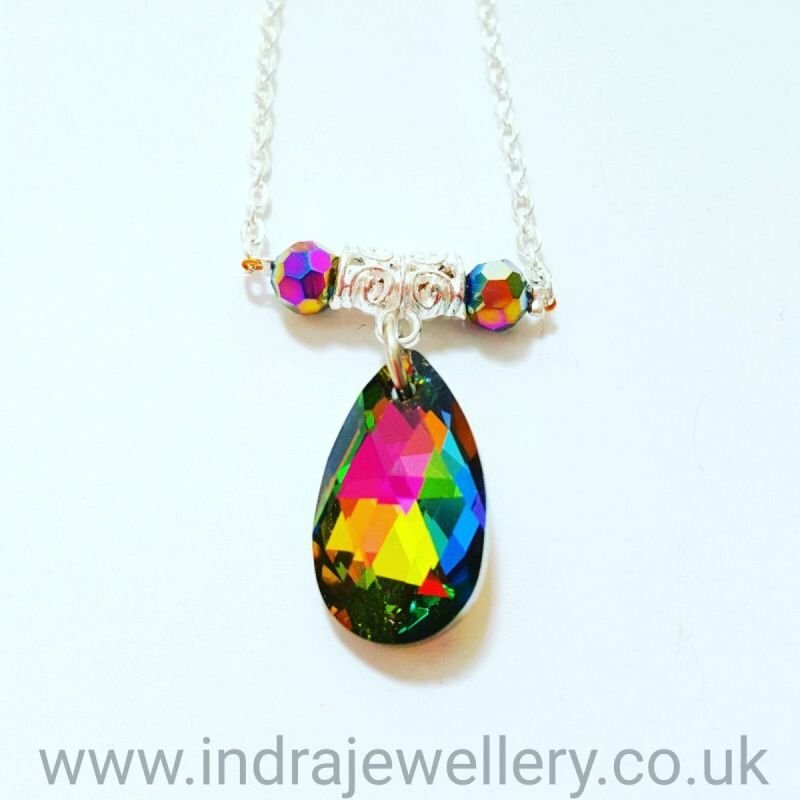 This is a stunning, super sparkly rainbow swarovski pendant necklace. I have attached the teardrop swarovski crystal onto a silver toned bail and added 2 faceted rainbow ceystal beads either side of the bail to compliment the crystal and give some added sparkle! Natural and beautiful, this necklace will go with anything! The chain measures 18"